A relaxation oasis has arrived in south Florida. 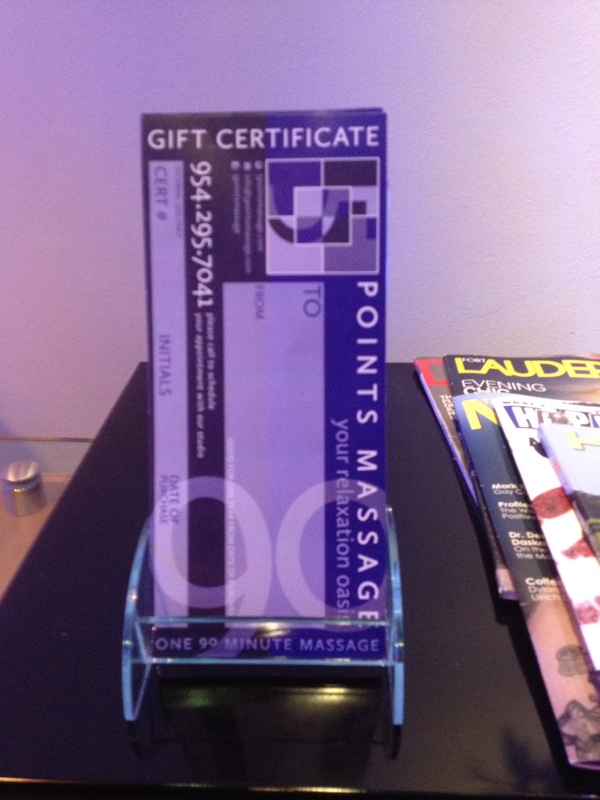 Conveniently located just north of Ft. Lauderdale, in the business district of Wilton Manors, 5 Points Massage is a sanctuary in the middle of a stressful urban jungle. It is a beautiful space created with consideration for my clients ultimate comfort and peace of mind. Whether your visit is due to pain, muscle tension, injury, emotional stress, or just to relax and unwind, your session will be handled skillfully and professionally. 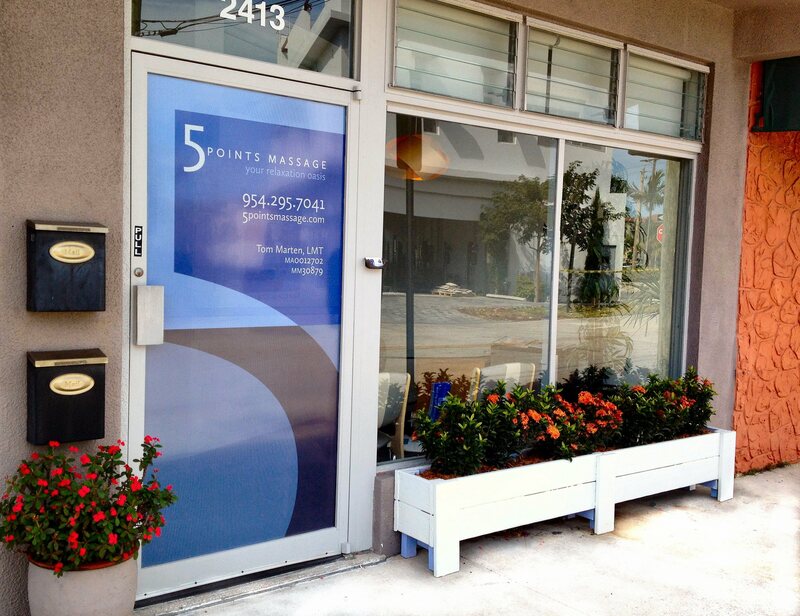 5 Points Massage is a reprieve from the day to day grind. A place to heal, relax, and de-stress. So, nourish your body, mind and spirit with a visit to my studio. I look forward to meeting you at your relaxation oasis, 5 Points Massage. Tom is by far in the top of his field. I have seen Tom now about 10 times and each time he continues to exceed my expectations. Tom uses a wide variety of modalities and blends them into a extraordinary relaxing yet rejuvenating bliss. His technique was primarily Swedish with long soothing strokes and sports massage as well. Tom is a genuinely nice guy that instantly puts you as ease. It is obvious from the moment Tom places his hands on you that he has had many many years of training that he has had time to embellish his training into his own formidable style. There is only one problem with Tom and that is he lives 30 miles from me….. Prior to making my first appointment I thought a 90 minute appointment indulgent. I have learned that once a week Tom uses those 90 minutes to provide a very comprehensive therapeutic massage including stretching, manipulation of large muscle groups & joint isolation to relieve pressure. Tom has also helped me recover full range of motion following injuries to shoulders neck and hips while renovating my house. To complete the experience I strongly recommend a hot shower in the beautifully rendered private spa bathroom.